CORONA DEL MAR, CALIF. — (RealEstateRama) — Hanley Investment Group Real Estate Advisors, a nationally-recognized real estate brokerage and advisory firm specializing in retail property sales, in conjunction with Voit Real Estate Services, announced today that the two firms completed the sale of a single-tenant net-leased coastal property occupied by Petco at 537 North Pacific Coast Highway in Redondo Beach, Calif. The sales price of $7,630,000 represented a cap rate of 4.5%, a record low cap rate for a single-tenant Petco in Los Angeles County. Hanley Investment Group President Ed Hanley and Executive Vice President Bill Asher, along with the seller’s exclusive advisor Joe Miller, a vice president at Voit Real Estate Services, represented both the seller and buyer in the 1031 exchange transaction. The seller was The Beacon Group, Inc., a California Corporation, based in Orange County. The buyer was a private corporation based in Los Angeles. Hanley Investment Group Real Estate Advisors is a retail investment advisory firm with a $5 billion transaction track record nationwide, who works closely with individual investors, lending institutions, developers, and institutional property owners in every facet of the transaction to ensure that the highest value is achieved. 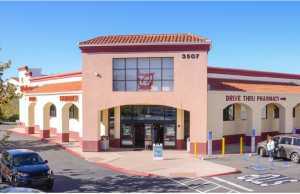 Hanley Investment Group Real Estate Advisors, a nationally-recognized real estate brokerage and advisory firm specializing in retail property sales, arranged the sale of a single-tenant absolute net-lease Walgreens property located in north San Diego County at 3507 Cannon Road in Oceanside, Calif.